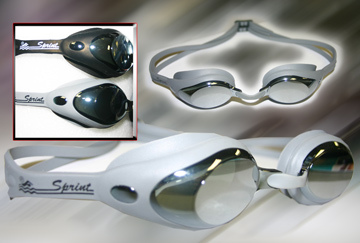 Sprint's Mirrored California Goggle has the same stylish hydro-dynamic design as our regular California Goggle, but with a mirrored lens to help reflect the suns' rays. Available in Black or Grey. Comes packaged in a hard plastic protective case.